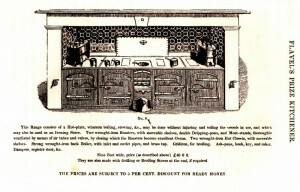 In 1851 at the Great Exhibition Sidney Flavel of Leamington was awarded a medal for his Kitchener cooking range. There is much confusion over this medal, modern descriptions claim it was one of seventeen ‘gold’ medals awarded. However, contemporary accounts only claim “a medal” and suggest a bronze medal, similar to all the other medals awarded. 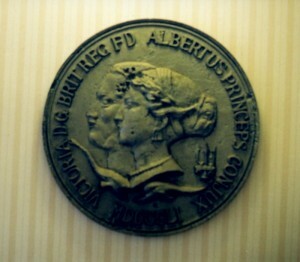 The photograph enclosed shows the medal, which can only be of bronze. 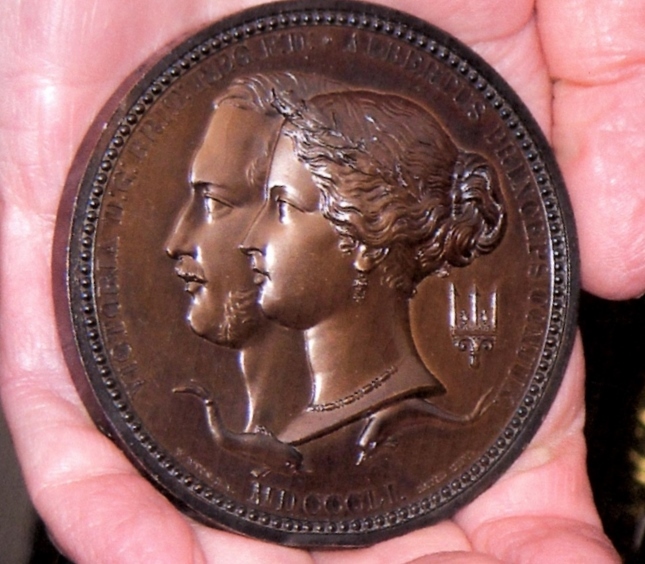 At least two types of medal were of offer, usually with Victoria and Albert on one side, but with various images on the obverse. Without seeing the obverse itself it is impossible to place the Flavel medal in a classification, – Council medal or Prize medal. Council medals were awarded for technological advance, whilst prize medals were given for being an exceptional example. To illustrate just how many medals were issued, France and britain had words, because France received only 54 medals, whereas Britain had 78. It looks very much as though Flavels were awarded a Council medal, possibly one of seventeen in a class. Not quite a gold medal, but notable all the same. 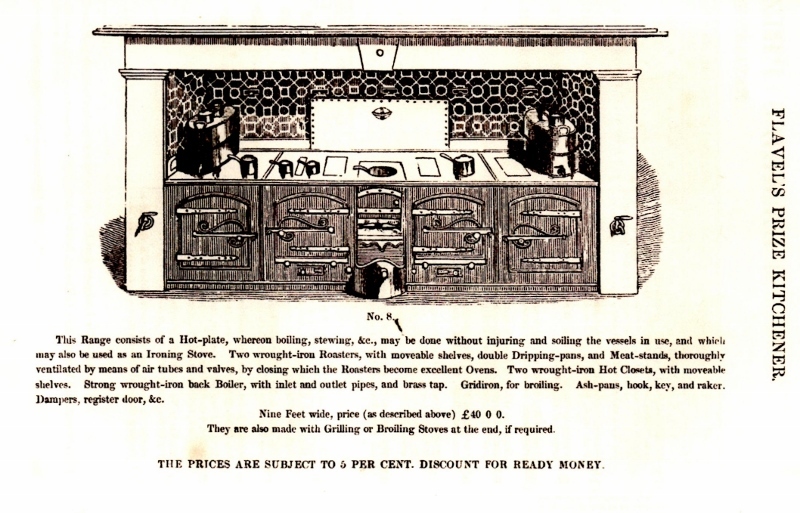 The Flavel Kitchener range marked a great leap forward in cooking, mainly because it moved away from the the earlier dirty, open ranges which had been around since the middle ages. Although Flavels are credited with this invention, there are claims that a Devon inventor had preceded them, but for some reason chose not to develop the idea. Whatever the truth, Sidney Flavel was the one who promoted the concept and displayed a range of Kitcheners at the Great Exhibition and changed kitchens and the lives of cooks for the better, – at the same time as making his name. To return to the medals, medal no 2, which was found in a garden in Lillington, is most certainly not gold, but some form of base metal. Mazak (used in Dinky toys) has been suggested. It measures approximately 15” across, and may have been designed to be displayed on a building, as there is a screw hole just under the A of Albertus. None of the websites relating to the Great Exhibition mention anything similar, so it is possible that it is a one-off cast by Flavels themselves. There is/was a similar artefact in Leamington Art Gallery and Museum, which I suspect is a wooden casting pattern. So there we have it, – two medals, both the subject of much mystery. If anyone can cast light on either of them, please get in touch. ← Going, Going – Gone!